You don’t need to travel to New York or Chicago for a great slice. These Alabama pizza hot spots serve up the best of New York-style pizza, and all of the classic favorites, but also some signature pies unique to the state. 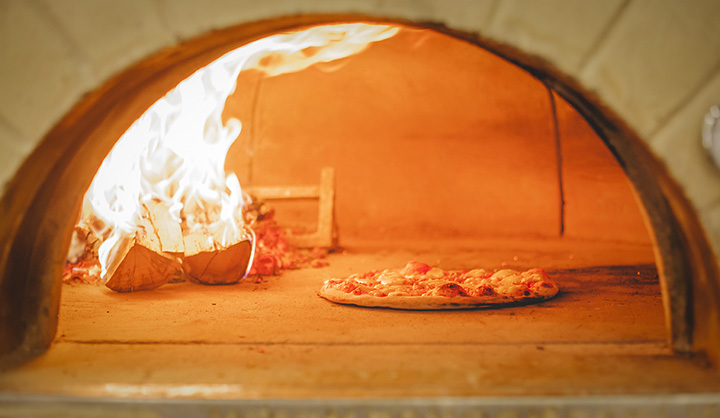 Whatever your preference, these nine pizza joints serve up the best pies in Alabama! Midtown Pizza Kitchen is a must visit if you’re in Montgomery. Their top-notch chefs make their pizzas from the freshest ingredients. Not to mention, they have an excellent selection of tap brews to pair up with your pizza of choice. For the best New York-style in Alabama, visit Broadway for a slice. From their delicious barbecue chicken pizza to their classic Bambino Pizza, Broadway hits it out of the ball park every time. Open for business since 1964, Jim Davenport’s knows how to make a great pizza. Their endless topping selections allow you to create your own perfect pizza. Complement your pie with a glass of wine from their excellent selection of whites and reds. Slice prides itself on its stellar pizzas and relaxed atmosphere. Their locally sourced ingredients deepen the perfection of these handcrafted pies. Their spicy Hawaiian is a zesty take on a classic, and be sure to save room for their s’mores calzone for desert. Greek-style pizzas don’t get much better than Mata’s. The staff is friendly and pies are delicious. It’s no wonder locals say it’s the best pizza in town. For innovative pizza with the best ingredients, stop by Post Office Pies. Of the best items on their menu, their chicken pesto pizza and jalapeno cheese bread are exceptional. The Boot Pizzeria is one of the top pizza joints in Alabama, with a long list of creative pizzas that will have you coming back. Some of their best pies include their shrimp poe boy, huevo ranchero, and Philly cheesesteak pizza. If you love classic pizza pies, check out locally owned Trattoria Pizza and Italian in Spanish Fort. From their sauces to their pie crusts, everything is made from scratch. For a tasty starter, try their garlic balls. Don’t let the remote location fool you—Bimbo’s is a hidden gem among pizzerias. Off the beaten path in Silas, Bimbo’s makes delicious pies that will keep you coming back with the whole family.